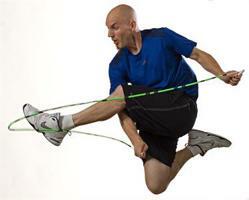 Peter Nestler defines jump rope. 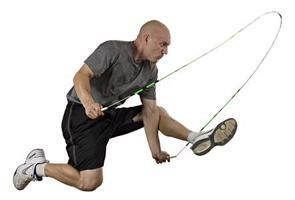 To the novice, it is a game consisting of a person jumping over a rope and landing on the other side. That definition is child's play to Peter! 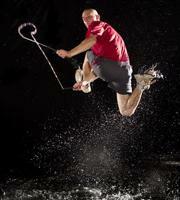 In the little-known world of competitive rope skipping, Peter is a 7-time world champion. 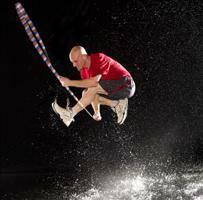 In the Guinness Book of World Records, (where they measure things like uber-long fingernails and the world's tallest dog), Peter shattered and still holds 6 Guinness world records, including jumping rope on a unicycle, most bum-skips in 30 seconds, and the fastest number of jumps within 5 minutes while wearing scuba fins. 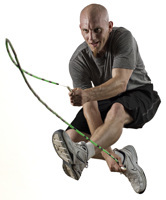 In Christendom today, he is referred to in hushed tones simply as "the Jump Rope Master". Peter got his start in elementary school. 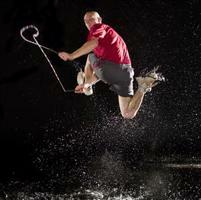 A rope skipping team visited his school and during that assembly, he knew that jump rope was "where it was at". He started his career by not making the school jump rope team in 2nd grade (! ), but worked solo on the playground to finally make it in 3rd grade. He jumped throughout his high school career, and went on to win 7 world championships as a member of the Juneau Jumpers. 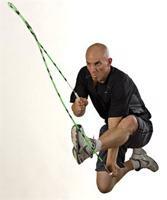 As a result, he decided to make a living as a professional rope jumper. Peter has been performing professionally since 1997 and has entertained hundreds of thousands of people all over the world. The most important decision in Peter's life was made in 9th grade after joining a youth group: he accepted Christ into his life. He has been living for Him ever since. 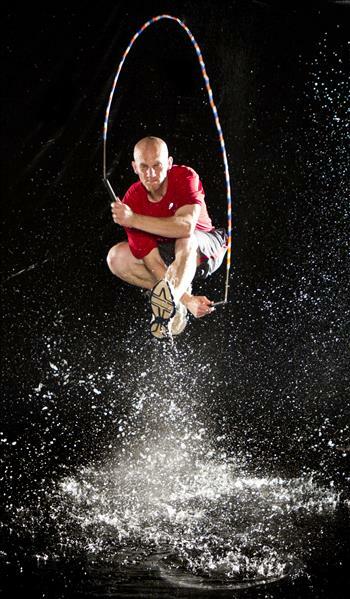 Soon after his professional rope skipping career had begun, Peter felt God's call to combine his skills with the Gospel. After many years of refinement, Peter has developed a spell-binding program that captures the attention of his audience, then uses that platform to introduce them to Jesus. Peter has performed internationally in churches both large and small. To date, he has performed in over 18 countries and 49 states. If you're wondering, "Who is Peter Nestler? ", you can only jump to one conclusion (sorry - couldn't resist! 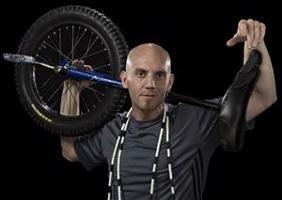 ): he's a jump-roping, unicycling, glow-in-the-dark, audience-participating, Gospel-presenting fanatic! Find out first-hand; you'll be hard-pressed to book a more unusual and entertaining artist. We had the privilege of hosting Peter Nestler at our 9:00 am and 12:00 pm BT KIDS! services. It was such a wonderful time! Our children sometimes have difficulty focusing and paying attention for extended periods of time, but they stayed completely engaged throughout the presentation. I appreciated how a significant portion of Peter&#39;s program used concepts related to jump rope, training, endurance and being a &quot;champion&quot; to Scriptural truths. I felt that the message that he presented was clear and age-appropriate. Overall, it was a terrific day and I would heartily recommend him to any children&#39;s ministry or church group! 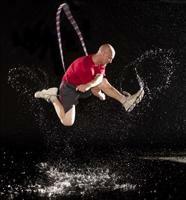 What an awesome program the Jump Rope Master, Mr. Peter Nestler, presented to our 1st – 5th graders! The presentation was unique and he brought so much energy and excitement to the room. The kids were captivated by all the jump rope stunts. 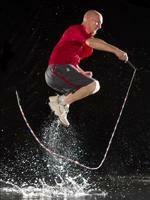 Kids and adults were amazed and engaged by his incredible athletic abilities. Our teachers and staff were also impressed with how Mr. Nestler kept the children’s attention throughout the entire program. Discipline was not an issue during our services. The icing on the cake was when the message of the Gospel of Jesus was presented. Many children made a decision to give their heart to Jesus. The hearts and lives of hundreds of children were touched. We look forward to the next time Peter comes to minister to our children in Kidslife @ Lakewood Church. Peter Nestler, a children's evangelist, has my full recommendation to be used in any children's ministry as a source of entertainment with a solid Christian message. Mr. Nestler recently performed in my children's department. His performance was both confident and entertaining. The children really enjoyed the former World Champion and responded well to his message. His entire performance overflowed with the love of Christ. The greatest compliment I can give to Peter Nestler's ministry is that I enjoyed it so much, my desire is to have him back again. His performance was a refreshing change because it provided something new and different for the children to enjoy. I would encourage anyone to invite Peter Nestler to perform for their children and allow him to enhance their children's program. Without a doubt Peter Nestler is one of the most incredible guests we have ever had at Prestonwood Baptist Church. 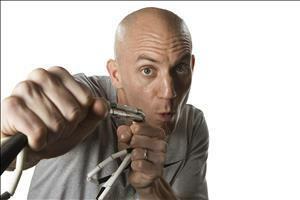 His show has tremendous energy, vitality and the kids were thrilled with every minute of it. Many of them are already asking about when he can come back. We heartily recommend him to your church. You will be happy he did. Once again, with over 600 kids from 1st thru 6th grade in our Sunday services, Peter Nestler held their attention with his extreme jumprope ability! Our kids love being ministered to by Peter; and, they think he is the coolest. If you want your kids to hear a great message as well as enjoy an awesome performance, then Peter is your man. The children eagerly bring their friends and the altar call following Peter's message brought many forward to receive Jesus as their Lord and Savior. We will definitely be bringing Peter back!